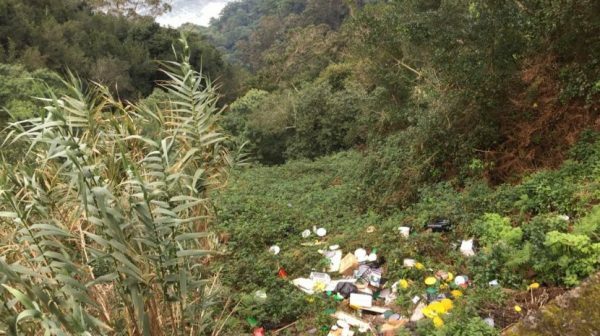 “Those who do this do not love their land,” says Santana Municipal Council on Facebook’s official website, regarding the open-air rubbish dump in the area of ​​Cortado, Faial, denounced by JM in Sunday’s edition. In condemning this situation, with great vehemence, the Town Hall speaks in feelings of “sadness” and also of “shame” for the whole county. Admitting that the authorship of this environmental “attack” may not be discovered, “despite the fact that despite the kind of garbage that is found there lead any police investigation to conclude a specific origin”, the local authority assumes that, on its part, everything will do to clean the trash. “Those who do this do not love their land, do not respect their land and do not deserve the privilege that nature gave to their land”, can be read in the text published in the social network and that in the comments has raised enough comments to condemn the lack of civism of the author or authors of the garbage dump on a verdant hillside of the parish of Faial, facing the sea, from where it is possible to see Porto Santo.